Living West of Boston -- Concord, Wayland, Sudbury, Maynard, Stow...: Home Improvements - Permits Save You Money and Stress! Home Improvements - Permits Save You Money and Stress! Summer is home improvement time. Whether you're doing some renovating or adding an addition or deck, make sure the contractor pulls a permit and that the inspector from the town signs off after the work is done. It's very easy to find out if one is needed; towns have the information about permits on their web sites or you can call the building inspector. Most people don't think about it. They assume that their contractor will take care of everything and especially because most include the cost of a permit in their quote. Unfortunately, contractors often do not follow through with applying for the permit(s) and scheduling the inspection after. Whether it's a lack of time, or someone just forgets to do their job, the bottom line is that permits are important for your protection, protection of the town, and the protection of future owners. 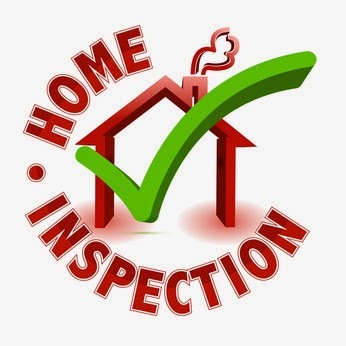 When you sell your house, if a home inspector sees a problem and there is no permit on file, even though it's not your fault, it raises suspicion that will ultimately cost you; buyers will question what else is wrong or missing and start looking for reasons to reduce the price! This has happened to many of my clients who paid top dollar to reputable contractors who never followed through on the permit. Advice to homeowners and sellers: ask the contractor when the inspector from the town will be coming by to sign off on the work done. If they can't answer, make sure you follow up with the contractor. Or, you can call the inspector yourself then you know it will be done. It will save you money and stress. Enjoy your new home improvements! About the author: Marilyn Messenger, CRS has been representing buyers and sellers west of Boston for 20 years. Having attended 100s of home inspections, she knows first-hand how important building permits are to the home buying and selling process. You can reach Marilyn at 508-596-3501 or visit www.MarilynMessenger.com for buyer and seller information, free home searches, and market conditions reports for Wayland, Sudbury, and the towns west of Boston.